Recently, Dova has been wanting to spend my money decorate her room and asked for some wall art with inspirational words on it. We looked in some stores like Pier 1 Imports and Christmas Tree Shops and Target. She was immediately drawn to this quote we found at Target, "Happiness is not a destination, it is a way of life. Enjoy the journey." 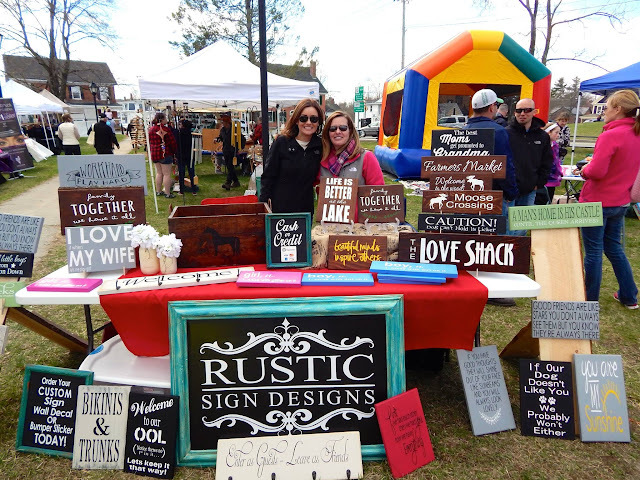 Then at an local Earth Day celebration, we met the lovely Angelina of Rustic Sign Designs (on left). We asked whether she made custom signs and immediately placed an order. Dova got to pick the colors and approve the design over several iterations. Now who can beat that? Rustic Sign Designs can be found on Facebook and Etsy. 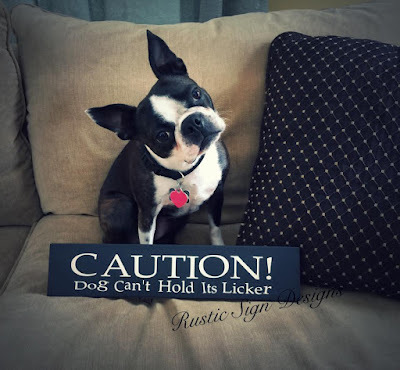 If you have a dog, you won't be able to resist this sign! In no way shape or form were we compensated for this post - Rustic Sign Designs is just awesome. Support local artisans!